WELL the blizzarding has stopped for pretty much everyone but Regina, BUT WOW we've got some cold mornings, particularly in Alberta. 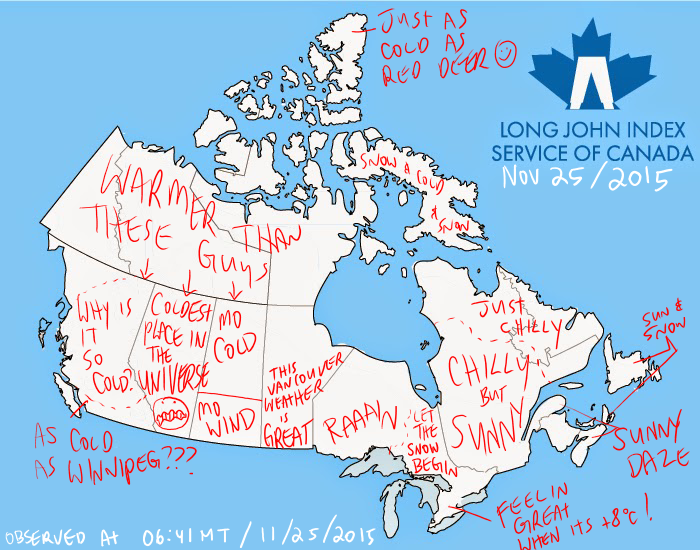 Also, why is it so Cold in BC? Who's in charge here?? Long John Index of 5 (-30 to Infinite) - Nope! !